I told you once how much I love Molton Brown Relaxing Yuan Zhi Sleep Mist. Well, I just feel that this little bottle needs a bit more love ... because OH. MY. GOD. I've been having trouble falling asleep and staying asleep for over a month now. Last night I decided to spritz it over my pillow, and guess what? I fell asleep within FIVE MINUTES. Even better, I stayed asleep till my alarm rang this morning. I can't believe it. Okay, gushing done now. Just thought I'd let you know that this baby continues to work time and again. 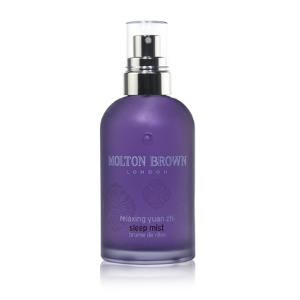 Molton Brown Relaxing Yuan Zhi Sleep Mist retails for $38.